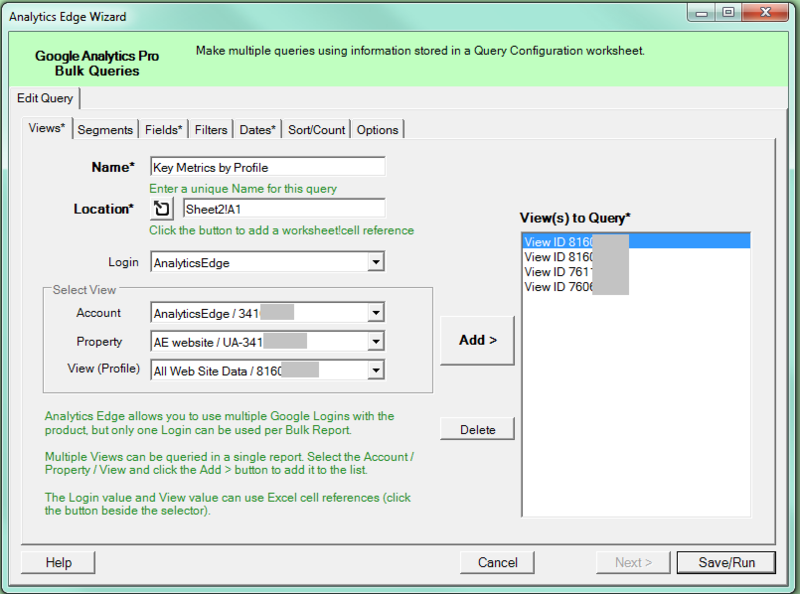 Use this Analytics Edge wizard to select the Login account to use for the query, plus the Account, Property, and View. Click Add> to add the selected View to the query. 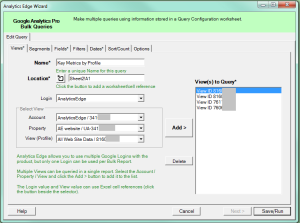 Multiple Views can be added, but they must all be available from the same Login.